Home The Hum: What is this low frequency humming noise? The Hum: What is this low frequency humming noise? Throughout the 20th and now into the 21st century hundreds of thousands of people worldwide have reported a low frequency pulsating noise which has become known as “The Hum”. Many have described it as sounding like a heavy diesel engine idling in the distance, but, to others, it rises through the frequency range to a higher pitched buzz. Since the 1950s people across the globe have claimed to be plagued by an annoying, low-frequency humming, throbbing or rumbling sound. It is mostly heard indoors at rural and suburban locations. The noise can get louder during the night, though it can also cease entirely upon leaving specific locations. Approximately 2 percent of people in hum-prone locations are able to hear the noise. The “hum” is a phenomenon that has been reported across the world from Vancouver in Canada to Europe, Asia and finally to Auckland in New Zealand. Humming hot spots include Bristol, England; Taos in New Mexico, North America; Bondi in Sydney, Australia; Largs, Scotland; and Windsor in Ontario Canada. the mating calls of Midshipman fish reverberating off ship hulls and buildings. Many of those affected with the noise have sought medical help to see if the noise could be as a result of tinnitus or Ménière’s disease, but mostly nothing has been found. Medical experts have suggested that it may be some form of tinnitus – a common ringing in the years that most people have experienced on occasions. Another theory is that the hum maybe caused by trembling of the tensor tympani muscle in the ear. Dr David Baguley, head of audiology at Addenbrooke’s Hospital in Cambridge, estimates that environmental factors such a fridge, industrial fan or nearby factory may be the source of at least a third of cases. His own theory – based on years of research – is that many sufferers’ hearing has become over-sensitive concentrating the mind on certain frequencies of sound which it perceives as a threat. Wilder theories suggest far more insidious causes, including secret military experiments, submarine communication and alien activity. Colateral effects of the Hum are Insomnia, Pounding Head, Difficulty concentrating , Dizziness, Headache , Burning Skin, Tension, Pins and Needles , Muscle Spasms, Heart Palpitations, Nose Bleeds, Eye Strain , Ear Pressure, Nausea and Fatigue, Panic and Desperation. Ear plugs or hearing protectors do not help and in fact only seem to exaggerate the problem, suggesting that the source possibly makes the whole body vibrate at a frequency of around 10 MHz upwards, which is lower than the average person can hear. High quality microphones cannot record the sound and more often than not other people in the immediate vicinity can hear nothing. The fact that the hum will suddenly start and affect a very localised area then, after an indeterminate period, suddenly stop, bears out the fact that it has nothing to do with the individual’s hearing and must emanate from an external source. In 2010 Time Magazine listed The Hum as the 7th most annoying sound in the world, while Livescience featured it in their ‘Top 10 Unexplained Phenomenon”. Though it may sound like a minor inconvenience, many people claim that The Hum has had a massive negative impact on their quality of life by causing headaches, nausea, fatigue, dizziness, joint pain, nosebleeds and sleep loss. For some individuals this has been enough to drive them to suicide. I wish I could bring this article to a conclusion and give you a rational explanation for “the Hum” but I can’t. The theories range from motorway noise to the spiritualist lady who earnestly told me it was the moans of the tormented souls in hell. As you can see the possible explanations are very open and if you have any ideas you would like to share please do so through the comments section below. The mystery of the Taos hum. Acoustical Society of America. Taoseños’ Ears Still Humming – Albuquerque Journal. Have you heard The Hum, The throbbing noise that just won’t go away? – Mail Online. In Taos, Researchers Can Hum It, but They Can’t Name That Sound – LA Times. Report: Windsor Hum Likely From Zug Island “Blast Furnace Operations – Windsorite. The Kokomo Hum investigation – Acentech Project No. 615411. Expert says hum is not a sound – Kokomo Tribune. Humming Toadfish Are the Buzz of Sausalito – NBC. ‘The Hum’ followup: CalPortland installs second silencer – West Seattle Blog. Seattle ‘Hum’ May Be Due To Midshipman Fish That Produce Sound For Mating – The Huffington Post. West Seattle’s now-famous ‘Hum’: Apparently NOT a fish’s fault”. West Seattle Blog. Wellington hum disappears – 3 News. Singapore’s frigate ‘Stalwart’ source of Wellington hum? – 3 News. Mystery humming sound captured – Sydney Morning Herald. Mysterious humming driving Aucklanders crazy – New Zealand Herald. Auckland North Shore Hum T.J. Moir personal pages. Who, What, Why: Why is ‘the hum’ such a mystery? – BBC News. In search of the thing that goes hum in the night – The Independent. Have you heard ‘the Hum’? – BBC News. I’m plagued by a ‘hum’ that no one else hears – Mail Online. What’s that terrible noise? – The Independent. Expert has the answer to Woodland village hums -The Advertiser Series. Low frequency noise and annoyance – Noise & Health. The Hum: An anomalous sound heard around the world. Journal of Scientific Exploration. A Review of Published Research on Low Frequency Noise and its Effects – Defra. Low Frequency Noise FAQ – University of Salford. The effects of low frequency noise on people—A review – Journal of Sound and Vibration. Hum and otoacoustic emissions may arise out of the same mechanisms – .Journal of Scientific Exploration. The Phenomenon of Low Frequency Hums – Norfolk Tinnitus Society. Can some people hear the jet stream? – New Scientist. Tinnitus – American Academy of Otolaryngology–Head and Neck Surgery. Spooky! The Top 10 Unexplained Phenomena – LiveScience. 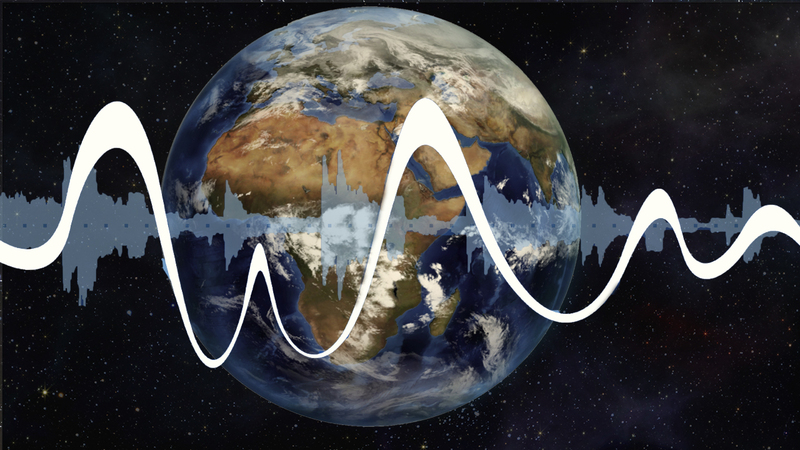 The World Hum Map and Database – World Hum Database and Mapping Project. Do you have the ELF TOWERS nearby? I would guess it is the phony cell towers they put up around the country and THEY are testing them. The proper frequency for the hum listed in the following sentence should be 10 hertz (Hz), not 10 MHz (which is in the normal hearing range for people). Ear plugs or hearing protectors do not help and in fact only seem to exaggerate the problem, suggesting that the source possibly makes the whole body vibrate at a frequency of around 10 MHz upwards, which is lower than the average person can hear. The hum is set to a low frequency, that they use to control you humans. It makes you mean, negative and control you. It’s to keep you from waking up to the real truth about Earth, you are all slaves and food to the beings that control Earth. Wake up and stay positive. They can’t freed off you if your positive and full of love. similar to when the airco in the office switchess off… only then you realize there was a noise… this sound is cancelled by the brain and causing the perception of sound. Definitely microwave communications phenomenon. You get massive, cranked repeating signals carry data payloads in the microwave bands and you WILL get this anomaly. Start lining up everyone who uses these massive microwave networks everywhere, esp. service providers. Chances are they already have the data and field reports that will stand up in court which is why you’ll NEVER hear them peep anything about any “humming” except to smile and say put yer tin foil on. They make billions off you, as does the government w/ these microwave communication networks, plus it’s all “the internet”. You don’t think because it keeps half the population up, drives them insane and is probably slowing killing everyone that they’d kill the golden goose do ya? No chance in hell, so you’ll have to take your own field readings and sue them in court……GOOD LUCK! I hear the hummmmm. Sure wish I didn’t. running a fan at night to drown it out helps some. Pretty sure EMFs are part of the cause, as we have symptoms that align with high EMF exposure. We’re having an assessment of our home and surroundings done and hope to get some good info on how to mitigate it. I just started hearing this about a week or so ago. I have lived here 12 years and never heard this before. It does sound like a very faint motor running and there is a sound vibration to it. Only hear it late at night when everything is quiet. I live in a small rural town in southeast missouri, and there is no answer as to what it is. My theory is one of two things, either its the earth its self from the core that we are picking up amplified through the foundation and walls of our buildings. Or its because of all the data lines and cell towers,if you look at the map of this phenomena you see its absent where there is no heavy data or tower use. Im sure its in big cities too, its just that cities have a constant background noise that drowns it out. We recently had our areas dsl upgraded to 50/100 I really think that dsl over telephone lines is whats causing a lot of this in conjunction with cell towers. Thats a ton of frequency being pushed around the country and the world. Look at the map notice in places like interior Africa and south america there are no reports. They dont have the power lines and cell towers like the rest of us. Same thing with places in remote siberia and other places. Someone in a science field needs to investigate if dsl and cell towers are causing this problem, we know electric lines can hum. Imagine the overload of electric dsl/phone lines and cell towers. All that noise they would emit, this is dangerous because at certain frequencies it can cause health issues. SO HELPFUL. THE WORLD NEEDS TO HEAR THIS. if i may use this information with your name because this sounds the most logic. I live in SW Missouri also and if I recall correctly it was around Thanksgiving that I too was experiencing this low motor running type hearing anomaly . It went on for several days and was very noticeable because iI am hard of hearing and remember thinking …wth is happening now. All is quiet here now. I am surprised in reading the theories that no one has mentioned the most probable cause to a low frequency hum that many people hear. It occurs in different parts of the world. This has been going on for decades in the US. I think it is probably Tunnel Boring Machines boring underground bases and tunnels. The Government and the mainstream media ignore it to maintain secrecy. There is a ton of information available on the machines and the DUMBS (Deep Underground Military Bases). i heard the hum. i was living in maple ridge, bc, just an hour east of vancouver. it didnt start until i was there for about 4 months. i heard it for about 6 months, then it stopped. i dont recall if it is because i was travelling and out of the area or not.. but then it started again, stopped again. i had no idea what was happening and was tested by a dr., but all he told me was to ‘take a vacation and relax’. i have since moved and have never heard it again. its very real and extremely hard to deal with. i couldnt hear anything out of that ear except the super loud HUM. i was basically reading lips. if a helicopter flew by the house it felt as if my head would explode. same sound also as when the fridge would come on. I hear this every night in phoenix S.E. it will sound for a good 5-10mins then mysteriously disappear. no cell towers in my area. I have heard it many times. I live in south Texas and to me it sounds more like a plane flying right over me, but it is strange because the sound suddenly starts and suddenly stops. The noise does not fade away like how an airplane would. Here I was going crazy thinking that the noise could be cause by ufos, but other people’s comments sound more logical.